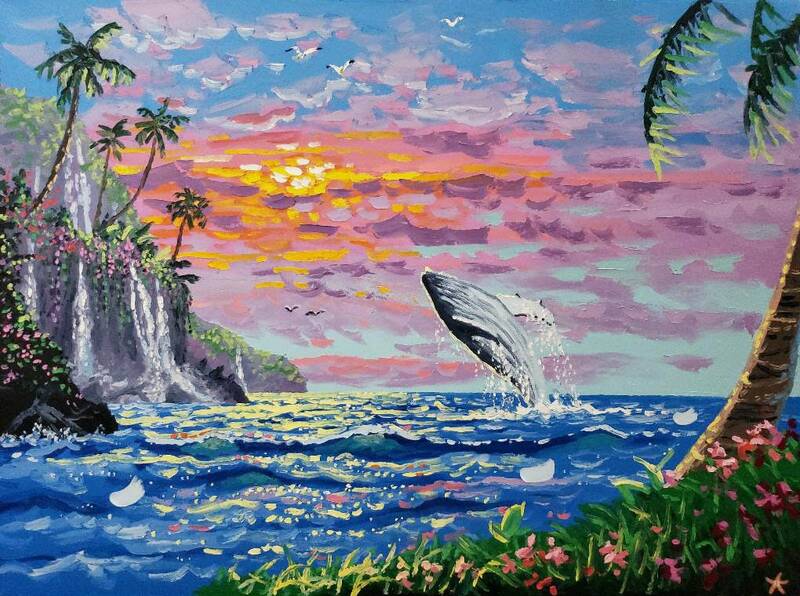 Adventure awaits as a humpback whale leaps over the waves, beneath a sparkling sunset! A palm tree sways nearby and some gorgeous waterfalls spill down the tropical mountains into the water. It truly is a seascape of dreams. Colorful, enchanting, magical---and fleeting.